Volunteering is a great way to promote positive change and make a difference in your community, but researchers say that the benefits don’t stop there. “We found that, overall, volunteers have a health score which is statistically significantly higher than those who do not volunteer. This total association turned out to be substantial,” the researchers said. 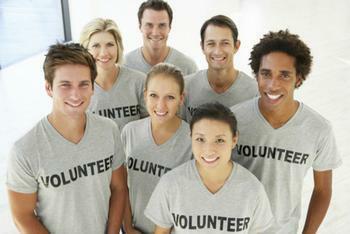 But what is it about volunteering that imparts health benefits? The researchers believe that there are three possible explanations for the association. The first is that volunteering improves access to psychological resources that non-volunteers don’t always have. The researchers point out that doing work on a volunteer basis can provide social support and improve self-esteem and self-efficacy, all of which has been tied to greater health outcomes. Secondly, they state that volunteering increases physical and cognitive activity, which can help protect against functional decline and brain-related diseases like dementia in old age. Lastly, they explain that the activity releases certain hormones like oxytocin and progesterone, which regulate stress and inflammation in the body. The researchers’ findings were gathered after analyzing information from 29 European countries that took part in the European Social Survey, which was conducted in 2012 and 2013. The full studies have been published in Economics Letters and PLOS ONE.